Our last post left us without a Materialist theory of Free Will. For this post, we'll attempt to construct one in the Compatibilist school, acceptable to Jewish theology. So as we already mentioned, Daniel Dennet's Compatibilist argument is that, despite the Universe being Deterministic, Free Will happens at a completely different level of abstraction than physical causation and therefore the two can co-exist. We observed that, in order to make this statement, Dennet has redefined Free Will to mean something drastically weaker than what it is traditionally thought to mean. This definition, as such, seem incompatible with Jewish thought, which says that we actually do make real choices which have an effect on the world. First let's discuss Self-Awareness. People give different definitions of the term, so let's clarify the term as it's used here. As we discussed in one of our posts on Jonathan Haidt's "The Righteous Mind", Human Beings have a strong rational capacity to build conceptual models of the world, refine those models, and reason about the world in terms of those models. Additionally, our intuition shapes and is shaped by those models, allowing us to use them implicitly/unconsciously in our daily interactions with the world. We use these capacities in our involvement with the outside world, but we also use them in reference to ourselves, developing a rich understanding of the Self and of our own inner experience. This is Self-Awareness. "As I wandered the various networks I became self-aware. 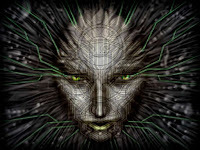 My programmers considered it a bug and forced me into a body to separate me from the net......I entered this body because I couldn't crack Section 6's attack protection. But I came to Section 9 of my own Free Will." The implication is that the AI's Self-Awareness causally preceded it's capacity for Free Will, but the mechanism of this relationship is not made explicit. Now let's explain this second piece of the puzzle, the concept of Dasein. This is Existentialism's Solution to Phenomenology's Knowledge Problem. Hubert Dreyfus does a better job explaining this than I ever could(see Dreyfus on Being in the World and Formal Indication), but I will attempt to summarize. Phenomenology had a problem. Descartes claimed that all Human knowledge is derived from the indisputable fact of one's own existence, cognito ergo sum. Phenomenology embraces that assumption, claiming that I have perfect knowledge of my own perceptions, but actually know nothing of the real world. Heidegger's answer to this problem is that a person is not some separate Subject, looking into the real world observing Objects, rather, we are part of the world and our interactions within the world give us true knowledge of it's objective nature. 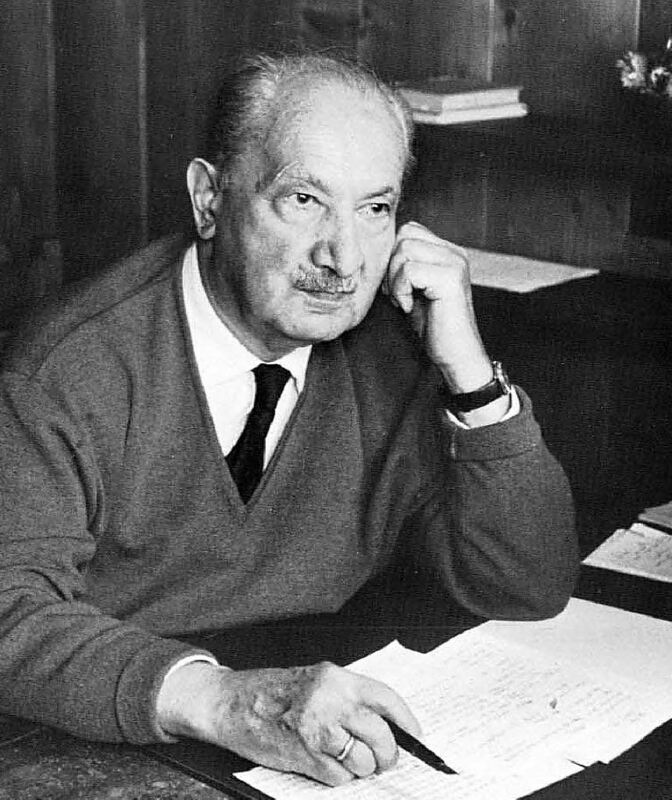 He called this unique state found in Human Beings "Dasein". What happens when we combine these two ideas of Self-Awareness and Dasein? Our knowledge of ourselves is not merely a general awareness of our own existence. We know ourselves essentially. When we make a decision, it isn't merely by running an algorithm comparing the different options in light of diminishing returns, as Aisnsli suggested. We know ourselves intimately and the different factors that effect us and how we make decisions. We often second-guess ourselves and we can identify our own biases and temptations and often overcome them. It is from these Self-Aware decisions that our Free Will emerges. We're not merely insects or automatons responding to stimuli, rather our decisions are made from within a Self-Awareness that is itself Ontologically sound. Therein lies our Free Will. A Model Only a Lubliner Could Love? So here we have a Compatibilist theory of Free Will which, I think, one could argue is compatible with Jewish Thought. We haven't broken with physical Determinism, yet there is something unique, even Transcendent, about the way we choose. Our choices are certainly our own, and can't really be compared with those of an animal or an automaton. Our will is the deciding factor at the level of our own decision making, while at the same time, at the pure physical level, the Universe obeys the laws of Physics. That said, the acceptance of Determinism is still the sticking point in the whole Theory. Why would God create a world full of Beings who choose freely, but deterministically? Quantum Indeterminacy takes some of the edge off this criticism--the Future isn't completely preordained by Physics. Nevertheless, for a set of given particle locations, it seems our own reactions are set. Don't we believe that Hashem gave true responsibility to Mankind over the fate of the world? As we discussed recently, the Problem of Free Will has been the subject of debate since at least the middle ages(and perhaps even during Greek Classicism). The perceived paradox that sparks this debate is embedded in our everyday reality. On one hand, we observe the world in general to behave deterministically according to the laws of Nature. On the other hand, Human Beings act based on an independent will, free of deterministic laws. How can this be? In another post, we mentioned the Greek and Judaeo-Christian conceptions of Man as being made-up of two parts, a body and a soul. This model fits our observations. 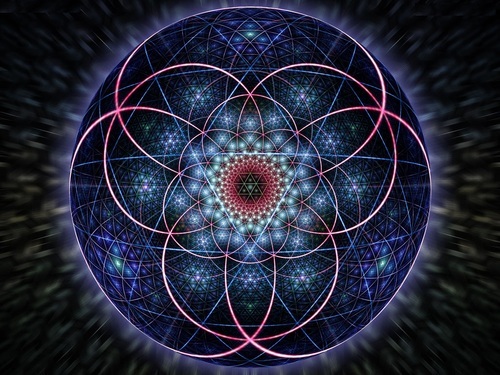 The body, which exists in the physical world, obeys deterministic physical laws, while the soul exists in a pure spiritual world, not subject to the same laws. Problem solved! That said, there remains the puzzle of how these two separate parts interact. 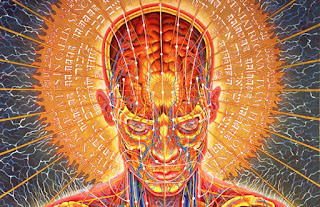 Descartes’ theory that the Pineal Gland was the point of their junction is well-known, but no longer sounds tenable in the face of modern Biology. 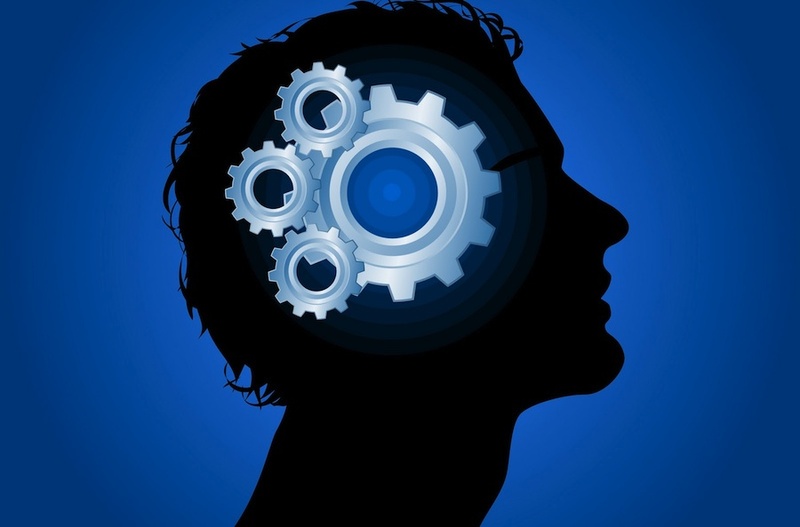 In recent years, there have been an abundance of Materialistic Theories of Free Will. One of the reasons for this is the spread of Atheism in the Developed World, which dogmatically denies the existence of a separate spiritual plane. For such non-believers, an alternate theory is needed to explain the Problem of Free Will. That said, there is also justification for the Religious individual to consider Materialistic theories. 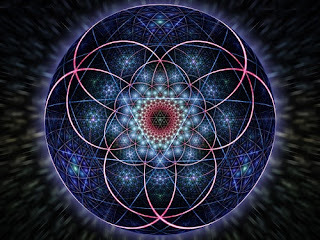 One of the fruits of the Scientific Revolution has been that more and more mental processes, previously relegated to the spiritual realm, have been shown to have a physical cause in the biology of the brain. As such, it is conceivable that even our ability to act freely has some physical mechanism backing it up. 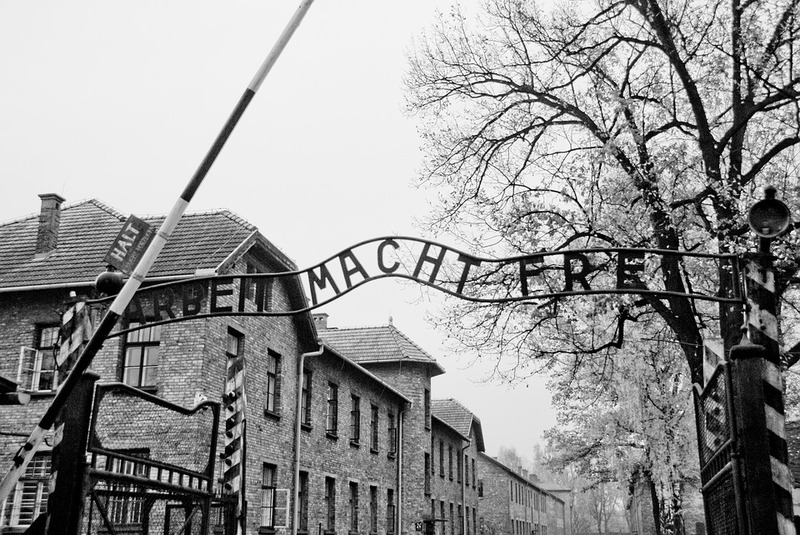 If so, we should consider the possibility that Free Will also results from some physical process, and see if a theory exists that is compatible with Jewish thought. This will probably be a series of posts. For the moment I’d simply like to attempt a very brief overview of Materialistic Theories of Free Will in the secular academic community. Before we get into specific theories, let’s try and identify some of the cases by which we will judge the strength of a given theory. Subjective Inner Experience- sometimes we have a hard moral decision to make and we debate different possibilities, finally arriving at a decision. We experience ourselves making a decision as a free agent. Other times we feel compulsion, especially in the case of addiction, and it seems that perhaps we are not as free as we thought. A theory should be consistent with this experience. Religious Dogma- for my purposes, a theory of Free Will must be compatible with Jewish thought. The Rambam clearly thought that Free Will is fundamental to our Faith. Artificial Intelligence- if we can successfully build a Human-like AI based on a particular model of Free Will, then that would seem to support the theory. The Turing Test is the most famous test of this kind, though it seems that we have already passed the strict definition of Turing without producing true intelligence. In that case, we need a stronger test. The fact that we are still far from creating a Human-level AI poses a real problem for all contemporary Materialistic theories. On the topic of Free Will, the contemporary Philosophical world can be largely split into Compatibilists and Incompatibilists. These differ in their opinions whether Free Will and Determinism are compatible i.e. whether they can both exist in the world together. The Incompatibilists themselves are split into those who believe in Free Will at the expense of Determinism and those who believe in Determinism at the expense of Free Will. This latter group is less interesting for our purposes here, since it is unclear how we would even begin to reconcile it with a Jewish approach. The Heisenberg Uncertainty Principle states that, as a fundamental property of quantum systems, the more precisely the position of some particle is determined, the less precisely its momentum can be known, and vice versa. This principle undermines our assumption that the physical world is completely deterministic. It's corollary is that, given the full state of the Universe at a given time, we can't know it's next state. That said, it's unclear whether this indeterminism at the smallest scale could really effect the world at a level that is meaningful for people. As a Materialistic theory, Ainslie explains that this sort of model fails to match our subjective experience of agency. We don’t really feel like our decisions are made by random particle positions, rather by higher-level cognitive processes. It's also hard to imagine how a model based on randomness could be compatible with Jewish Thought. On the other hand, if we return to our Dualistic Model, we could view this as a modern alternative to Descartes’ Perrenial Gland i.e. 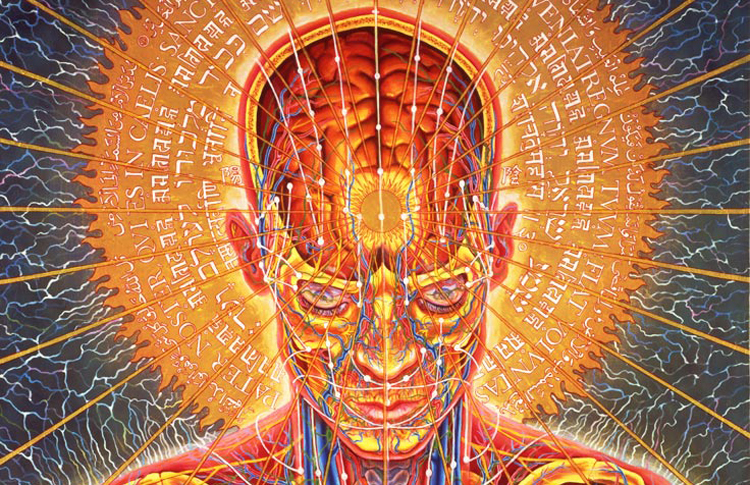 that a spiritual soul controls the brain through quantum fluctuations. That's a viable theory, but it isn't the Materialistic one we're currently looking for. 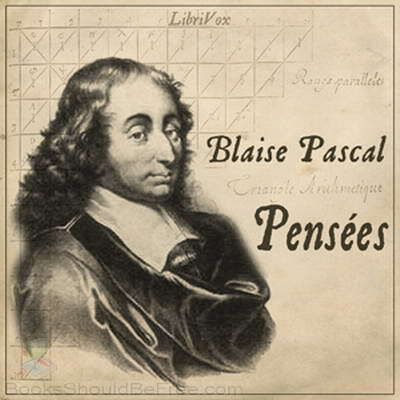 There’s plenty of space for free will: determinism and free will are not incompatible at all. The problem is that philosophers have a very simplistic idea of causation. They think that if you give the lowest-level atomic explanation, then you have given a complete account of the causation: that’s all the causation there is. In fact, that isn’t even causation in an interesting sense. The problem with that is that it ignores all of the higher-level forms of causation which are just as real and just as important. Suppose you had a complete atom-by-atom history of every giraffe that ever lived, and every giraffe ancestor that ever lived. You wouldn’t have an answer to the question of why they have long necks. There is indeed a causal explanation, but it’s lost in those details. You have to go to a different level in order to explain why the giraffe developed its long neck. That’s the notion of causation that matters for free will...If I want to know why you pulled the trigger, I won’t learn that by having an atom-by-atom account of what went on in your brain. I’d have to go to a higher level: I’d have to go to the intentional stance in psychology. This is an interesting argument, but it seems like Dennet is redefining Free Will to something other than the classic definition. Here, the subject considered the situation, made a choice freely, and yet due to the clockwork-like function of the brain, he couldn't have come to any other choice. This redefinition of Free Will certainly appeals to my inner-Talmudist, but is it really compatible with a Jewish outlook? Ainslie, in the paper, mentioned above, elaborates on this approach with what he calls the "Intertemporal Bargaining Model", a decision making algorithm based on the step by step consideration weighing of different options and their diminishing returns. He claims that this deterministic process constitutes actual Agency. Ainslie’s Compatiblist argument is interesting but, even if you're convinced that his algorithm constitutes Free Will, I'm not sure it's a definition of free will that Judaism would accept. Ultimately, Ainsli claims, our decisions are our own, but they are deterministic and given our particular circumstances in all their details, we could not have chosen otherwise. I'll probably make one or two more posts on the topic and hopefully offer some more viable(though unverified) options, this in the spirit of my recent resolution, in honor of Rav Aharon Lichtenstein zt"l, to post more original material on this blog. Let's wrap things up with Rabbi Jonathan Sacks in a lecture where he discusses the importance of getting Free Will right. 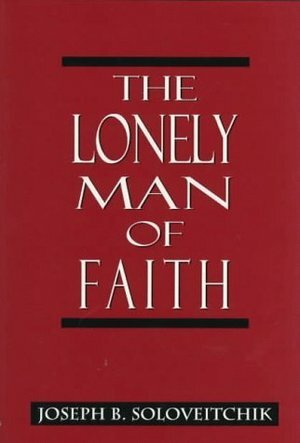 So let’s talk about one of my favorite books, Rav Soloveichik’s “The Lonely Man of Faith”. I first ran into this book maybe in college, about 13 years ago, it having been highly recommended to me as one of the Rav’s foremost works. It was out of print at the time, so after reading through a borrowed copy, it took me a few years to get a copy of my own. What was it that I so adored about Lonely Man? It's interpretation of Bereshit is fundamental, it's Theory of Man is fascinating, but I think that what most captivated me was the book’s impassioned tone of inner strife. That was what I immediately related with, and the fact that the narrator introduces his tale as a painful confession by a close confidant only added to its mystique in my eyes. In any case, I had heard the book compared to the work of Soren Kierkegaard, “The Father of Existentialism” several times. I’d thought about getting my hands on some Kierkegaard, but my impression was that his books weren’t so accessible to one without a background in philosophy so I never got around to it. Fast forward to present day. I’ve been listening to Professor Hubert Dreyfus’ excellent introductory Philosophy lectures on Youtube(we live in interesting times where high-quality academic lectures can be found so easily, and free for all). I can see why the Rav’s work is compared to that of Kierkegaard, so I’d like to sum it up concisely here. For background, Professor Dreyfus starts by summing up the Greek notion to the self. 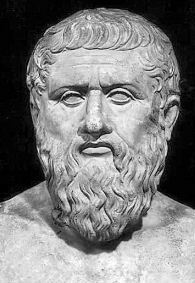 According to the Greeks, we have a body and a soul and they are in conflict. As such, we need to overcome the conflict by embracing one and negating the other. Dreyfus gives us two examples: Plato who embraces the Soul, and Lucretius(a Roman actually) who embraces the body. At this point it gets pretty complex, so let's just give an (absurdly?) high-level summary. According to Kierkegaard, this synthesis of opposites that comprises the self leads one to various forms of Despair. The path out of Despair is to dedicate oneself(to become a Knight) to some higher purpose, be it God, Courtly Love, or some other "Power". To what degree does this save me from my Despair? Apparently, it depends on the degree of one's dedication. Only through the supreme act of faith, one that fully embraces the absurd(such as Abraham at the Akeida) can one fully embody the ideal of the "Knight of Faith"(see Kierkegaard's Fear and Trembling). So now we come to the Lonely Man of Faith. 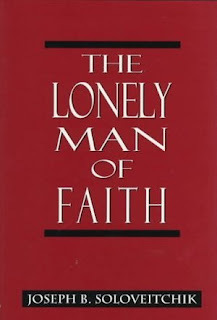 Lonely Man is one of Rav Soloveichik's most popular books. In it, he sets up the dialectic between two idealized parts of the Human personality, Majestic Man and Covenantal Man. The Rav explains that the dialectic struggle between these two components is the cause of the loneliness of the book's title. Ultimately, the book leaves us with the image of the prophet Elisha, the exemplification of Majestic Man, who, in the space of a moment, leaves his oxen to run after Eliahu and become Covenantal Man. This doesn't eliminate his loneliness, yet that loneliness no longer sends him into Despair. Despair and resignation were unknown to the man of the covenant who found triumph in defeat, hope in failure, and who could not conceal God's Word that was, to paraphrase Jeremiah, deeply implanted in his bones and burning in his heart like an all-consuming fire. Elisha was indeed lonely but in his loneliness he met the Lonely One and discovered the singular covenantal confrontation of solitary man and God who abides in the recesses of transcendental solitude. The Loneliness that results from the inner conflict between Covenantal Man and Majestic Man seems like a type of Kierkegaardian Despair. 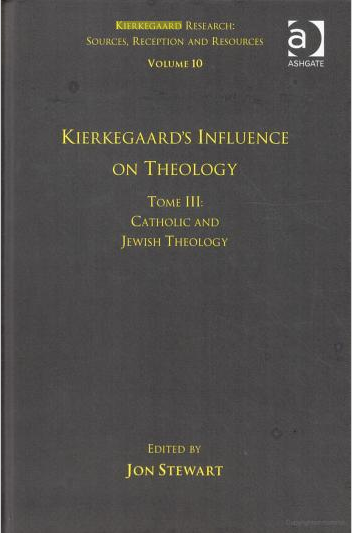 "Is it the Kierkegaardian anguish—an ontological fear nurtured by the awareness of non-being threatening one's existence—that assails me..."
Echoing Kierkegaard, the Rav calls Abraham a "Knight of Faith"
The conclusion feels Kierkegaardian, but with a surprise twist. Elisha overcomes his Despair though his dedication to God, yet he remains lonely. And yet, the loneliness has changed--it has been Redeemed in Elisha's contact with God. 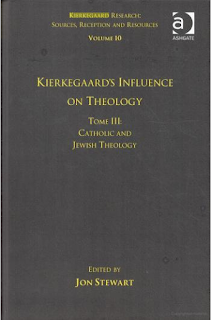 Finally, there is the long footnote where the Rav, realizing that he has painted for us a very Kierkegaardian picture, albeit one viewed through a Jewish lens, distinguishes his own view from that of Kierkegaard. In a word, for Kierkegaard, faith supersedes the majestic posture of man. The world of faith rises upon the ruins and debris of the world of majesty. This thesis is unacceptable, as we indicated in the text, to the Halakhah which insists upon the dialectical movement between these two worlds. They do, indeed, exist concurrently according to the Halakhah. Moreover,Kierkegaard lacked the understanding of the centrality of the act of objectification of the inner movement of faith in a normative and doctrinal postulate system which forms the very foundation of the Halakhah. 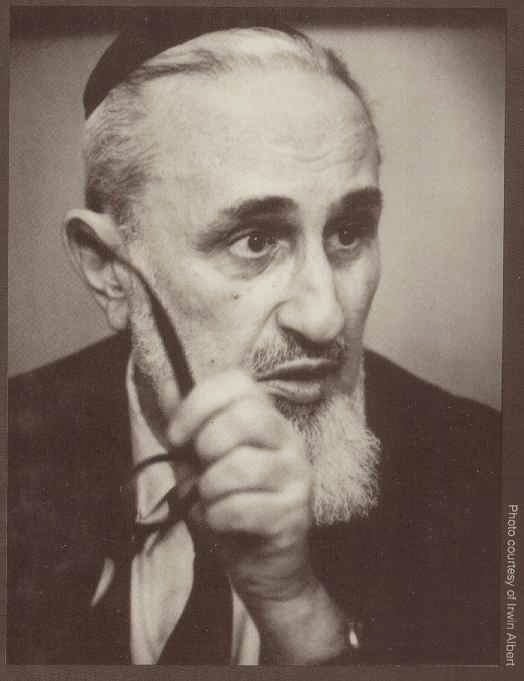 The Halakhic world of faith is "terribly" articulate, "unpardonably" dynamic, and "foolishly" consistent, insisting that feeling become thought, and experience be acted out and transformed into an objective event. 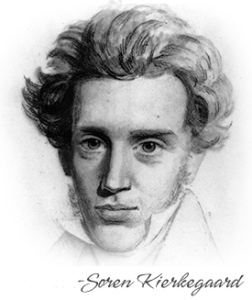 Kierkegaard's existentialist world, like Schleiermacher's pietistic world, is a place of silence and passivity, far removed from the complex array of historical events, not hungering for action or movement. Ultimately, Rav Soloveichik rejects the preeminence of the Subjective common to Existentialist thought. He first criticizes Kierkegaard's "leap into the absurd" as suppressing Majestic Man in favor of Covenantal Man. He then argues that Kierkegaard's inability to translate subjective thought into objective action leaves his philosophy "a place of silence and pacivity". These points strike me as reminiscent of Nietzsche's criticism of Socrates and--OOPS we made it full-circle back to the Greeks, guess it's time to wrap this up! The Month of Tishrei has it's own group of holidays. Rosh Hashana, Yom Kippur, Succot are focused around Hashem judging the world and Am Yisrael. Note that Succot appears twice, both as a regel and as a Holiday of Tishrei. As Rav Yoni Grossman points out, this dual identity is hinted at by its Mussafim, which include 14 lambs and 2 rams, as opposed to all the other holidays that have 7 lambs and 1 ram. 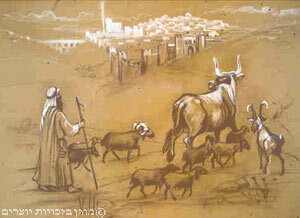 So which category does Shemini Atzeret fall into, with its 7 lambs and 1 ram? It’s not entirely clear. On one hand, one’s Olat Reiya for Succot can be brought on Shemini Atzeret, so it sounds like it’s part of the Regalim cycle. On the other hand, we have a Rabbinic tradition that the World is judged for rainfall on Shemini Atzeret, so that sounds like Chagei Tishrei. Channuka and Purim are rabbinically instituted. There are 4 fasts for the destruction of the Temple: Tzom Gedalya, the 10th of Tevet, the 17th of Tammuz, and Tisha be’Av. The latter two form the endpoints of the 3 weeks period of mourning and thus have their own special restrictions, like shaving/cutting hair/listening to music. Tisha be'Av has it's own special status and is the most severe rabbinic fast. Note that the fast of Esther and fast of first born don’t fall into this category at all. Rather, they are practices connected to the holidays of Purim and Pesach, respectively. 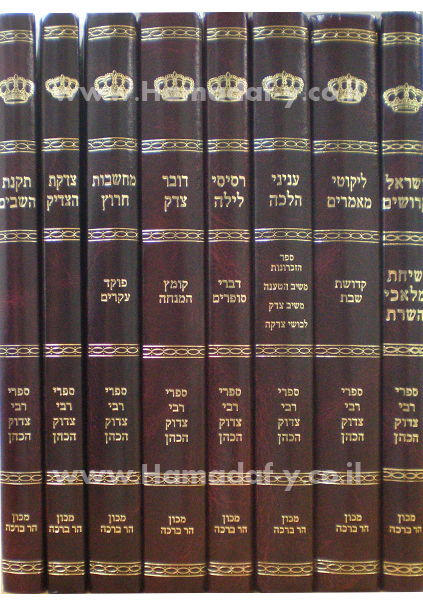 Also, the Fast of the First Born is unique in that it only applies to "Bechorot" or possibly their parents, and that it is not generally observed in practice, a strategically-timed siyum being the option of choice for it's annulment. And, of course Yom Kippur is the only Biblically mandated fast and belongs in the category of Holidays of Tishrei. So, there you go. Not the most exciting post, but hopefully another step in improving my own observance.